China has agreed to drop a punitive economic measure that would have cost South Korea billions in exchange for South Korea agreeing not to form closer military ties with the United States and Japan, nor install any more THAAD missile defense systems capable of taking out North Korean missiles. The agreement, made on Tuesday, ends a year-long dispute that erupted after South Korea began installing the radars and missile batteries the THAAD system uses to detect and destroy incoming ballistic missiles. 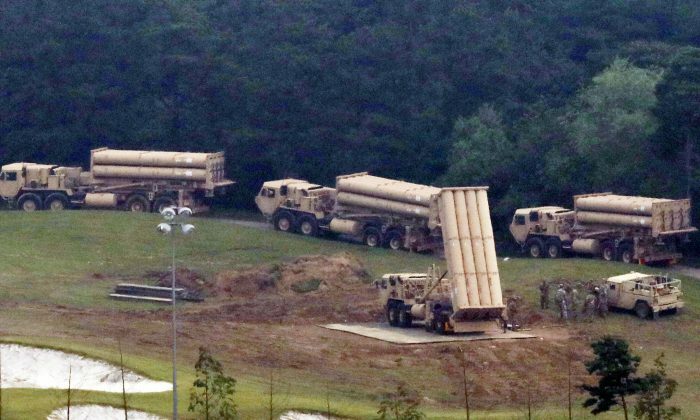 China’s communist regime sees the nearby THAAD system as a threat to its own nuclear deterrent. “Both sides shared the view that the strengthening of exchange and cooperation between Korea and China serves their common interests,” South Korea’s foreign ministry said in a statement. But despite the recent easing of economic pressure on its neighbor, the Chinese regime has continued its diplomatic pressure amid a growing threat posed by North Korea. “China’s position on the THAAD issue is clear, consistent, and has not changed,” Chinese Foreign Ministry spokeswoman Hua Chunying told reporters in Beijing. When South Korea went ahead with the THAAD installation, China mobilized a boycott of South Korean businesses and goods, and restricted Chinese tourism to South Korea. Data from the Korean Tourism Organization shows the country lost $6.5 billion in revenue after the influx of Chinese tourists dropped by half in the first nine months of the year. The Bank of Korea said the dispute took .4 percentage points off this year’s expected economic growth and the Hyundai Research Institute calculated the dispute’s cost to South Korea at $7.5 billion so far. Lotte Group, which provided the land where the THAAD battery was installed, is expected to sell its chain of Chinese supermarkets at a fraction of their cost after Chinese customers disappeared. The deal now leaves South Korea stuck between the threat of North Korean ballistic missiles and punitive sanctions from China. While South Korean President Moon Jae-in had already stated he would not formalize a military alliance with Japan and the United States, nor expand its THAAD system, his commitment to Beijing has now been solidified. With the increasing threat from North Korea, Moon had tightened military cooperation with Japan and the United States. 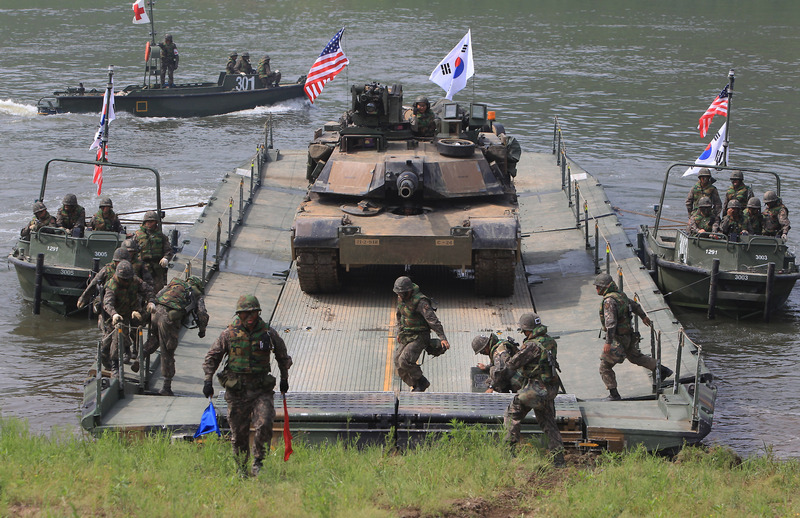 The three nations have begun trilateral drills, the future of which is now in question. Meanwhile, China’s decision to punish Seoul for taking measures to protect itself from the North has left many South Koreans resentful, fueling anti-China sentiment in the country. Trends such as these are widely believed to have unsettled China, as it sees a friendly neighbor becoming close with historic rivals. The deal to restore amicable trade comes on the eve of President Donald Trump’s Asia tour, which will see him arrive in Japan on Nov. 5 before going on to visit South Korea, China, Vietnam, and The Philippines.